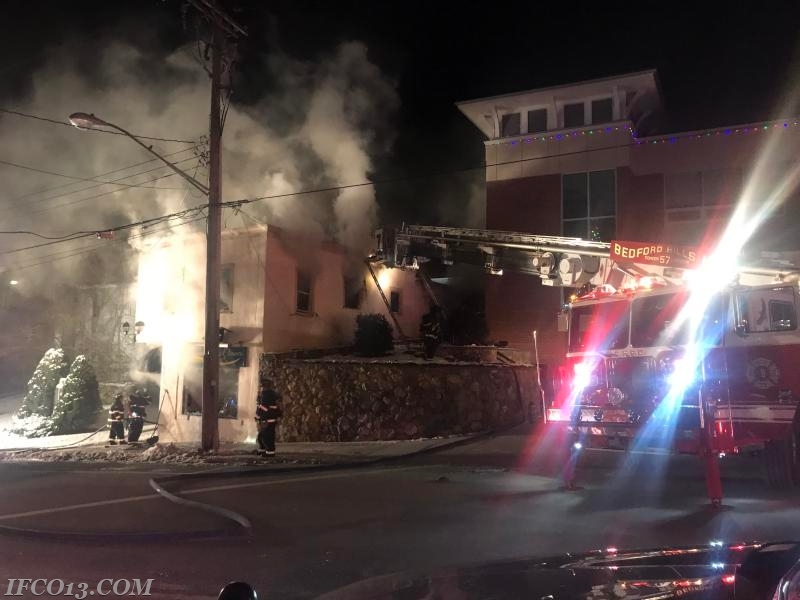 On December 26th 0249 hrs Bedford Hills and a walk in for a medical emergency, A firefighter observed fire from the building next door to the firehouse. 1075 was transmitted for a working fire. Dispatched were U-13 FAST & Engine 104. It was an extremely cold morning. All units were returned to quarters.